As we've talked about before, when your final drive goes out you have several different options for replacement: reman/rebuilt, new from the OEM, and aftermarket. One of your newest aftermarket options are the quality Eaton JMV series track drive motors. 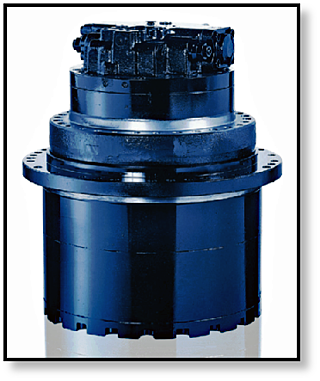 Eaton only recently began distributing their JMV track drive hydraulic motors in the United States, putting them at a disadvantage when it comes to awareness of their product. However, Eaton is a major contender in the hydraulic power market and their hydraulic motors are used on thousands of machines the world over. Maybe its time you put an Eaton hydraulic drive motor to work for you. As their US distributor, we'd like to tell you a bit more about their drives. The JMV series of motors from Eaton can be used on a variety of machines, including combines, harvesters, pavers, crawler cranes, and others. 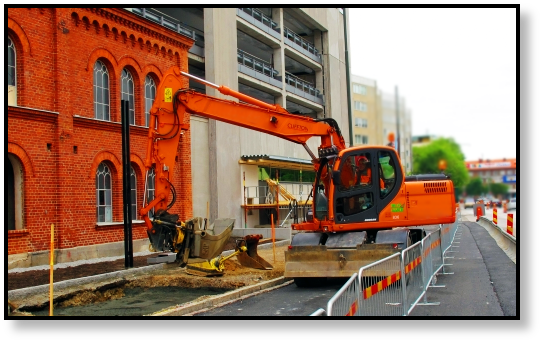 However, they are particularly well adapted to use on excavators, whether they are mini excavators, compact excavators, midi excavators, or full size hydraulic excavators. JMV motors are available for small 1.5 tons machines all the way through to 50 ton machines. If any of those features interest you, then you it might just be time to consider an Eaton drive motor. The most important things you look for in a replacement track drive for your excavator are torque, efficiency, and quality -- and Eaton's line of track drive motors offers that and more. If its time to replace your final drive on a mini excavator, compact excavator, midi excavator, or full size hydraulic excavator, take a few minutes to find out more about the Eaton JMV series track drive motors. Want to discover more about the cutting-edge technology provided by Eaton hydraulic drive motors. Download your free resource guide on Hydraulic Motors and Torque Density powered by Texas Final Drive.